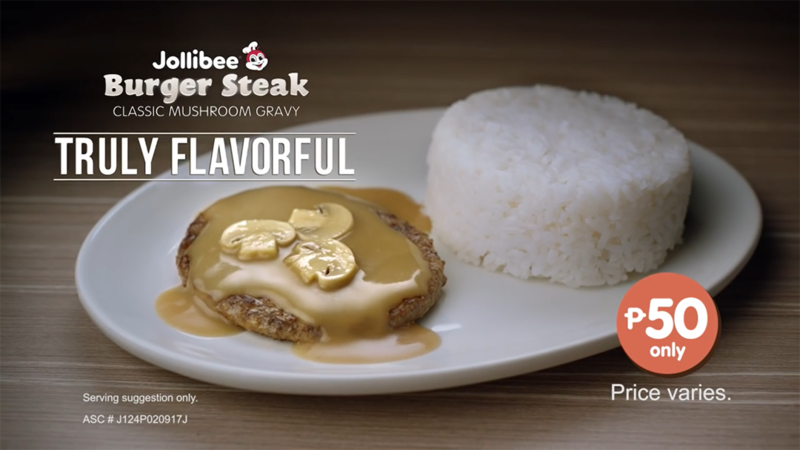 The Jollibee Burger Steak, served with a 100% real beef patty, flavorful mushroom gravy, and steamed white rice, is available for dine-in, take-out, drive-thru, and delivery transactions in all Jollibee stores nationwide. Prices start at P50.00 for 1 pc solo*. For more information on Jollibee Philippines, like www.facebook.com/JollibeePhilippines, or follow @jollibee on Twitter and Instagram.